The new Land Rover Discovery is now official, the car will be shown off at the Paris Motor Show next week. 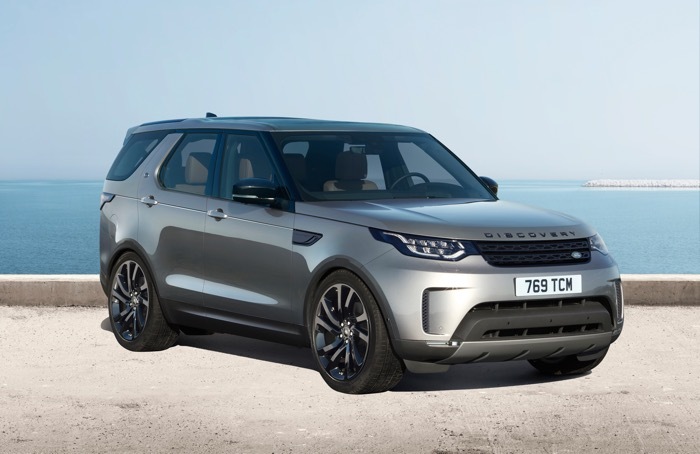 The Land Rover Discovery comes with a new design and a range of new engines, it is also 20 percent lighter than the model it replaces. The New Discovery embodies Land Rover’s drive to go Above and Beyond, combining British desirability with an unstoppable spirit of adventure. It’s an authentic, three-row, seven-seat SUV with unbeatable capability and versatility. Everyday ingenuity has been at the heart of the Discovery for the last 27 years. New Discovery signals the transformation from cogs to code with more than 1.2 million customers with us on every step of the journey. The fifth-generation model benefits from Land Rover’s strong, safe and light full-size SUV architecture, delivering comfort and adaptability like no other. You can find out more details about the new Land Rover Discovery over at Land Rover at the link below. The new SUV will go on sale in the Spring of 2017 and prices will start at £43,495.